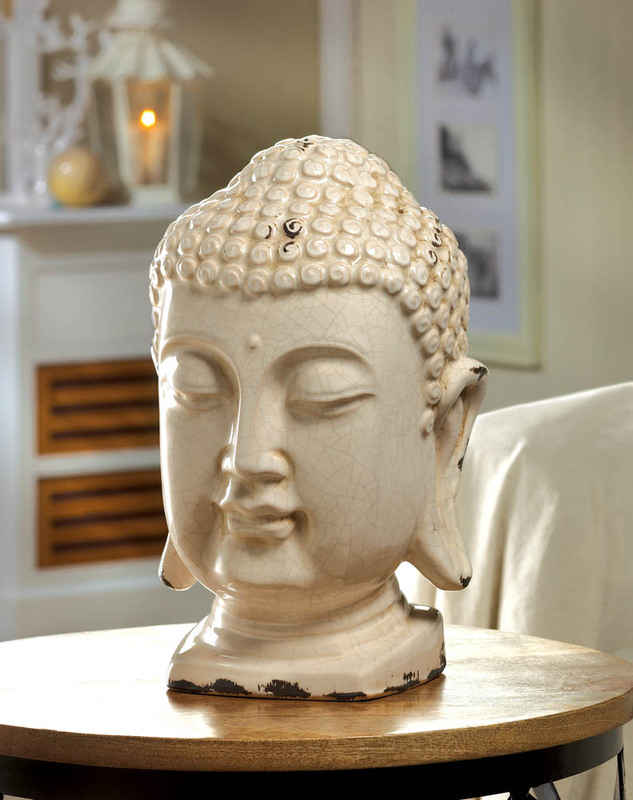 This ceramic Buddha head has a crackled iridescent white finish, making it a great fit for any decor. The most stylish way to add a little Zen to your living space is by displaying this tabletop ceramic Buddha bust. The weathered finish makes it look like a timeworn treasure. 7-1/4" x 7 x 12-3/4"